Email marketing continues to be one of the key communication and marketing channels between brands, business, and customers, and creating an optimized email marketing campaign has never been easier due to all of the free email marketing tools available. How many businesses are using email marketing to reach their customers? A recent survey conducted by The Manifest consisting of digital marketers working for U.S. companies — 73 percent working for B2C companies, and 27 percent for B2B companies — showed that 32% of businesses are sending out emails on a daily basis, while 41% are doing so weekly. With that volume, you can bet that they are utilizing all of the latest and greatest free email marketing tools out there to invest in growing their email marketing in order to stay relevant and current with their customers and competitors alike — and level-up email marketing outcome. Does sending out an email once a week sound like a daunting task? And, is it worth it? The Email Marketing Benchmarks report published in April 2018 by Get Response answers this question by analyzing over 2 billion marketing emails and newsletters sent from clients with small to medium businesses. It was found that by sending out only 1 high-quality newsletter per week, email engagement rates increased with an Open Rate of 36.2% from 21.26% when 5 newsletters were sent per week. Also 1 newsletter generated a Click Through Rate of 5.54%, while 5 decreased it to 3.15%; and the Click-to-Open Rate of 1 newsletter was 15.37%, while 5 generated only 14.80%. Choosing the best tools can make it easy to create a high performing email marketing campaign for your eCommerce business, giving you the potential to reach as much as three times more consumers than social media campaigns. This post introduces 5 free email marketing tools that you should check out. One of the simplest ways your customers can easily and conveniently stay in touch with your brand is via newsletters. This is why, when you are creating your fine-tuned weekly newsletters, you need to cater toward the individual and their relevant consumer needs. There are many free email marketing tools that can help you keep your marketing newsletters fresh and focused when defining your subject or concept — never letting your reader be 100% sure of what they will see in the newsletter each week, but all the same, staying on point with your brand. These tools can become an asset to your email marketing campaign, assisting you in creating enigmatic email subject lines that will draw in readers. Then, all that is left is to add credible and engaging content, some awesome visuals in your body to drive the message home, define targeting and time schedule, and send! Choosing the tools that are best for your business needs can save you time and resources; important factors in keeping your eCommerce business ahead of the competition. Let’s narrow down 5 free email marketing tools that you should check out to help you with every aspect of creating your highly-converting newsletter campaigns. How it works: Simply enter your text in the bar of Email Subject Line Grader and you will receive a numerical score, grading the effectiveness of the copy, word count, word mixture, and balance. What makes this an awesome email marketing tool is that it gives you suggestions to make your subject line more compelling and get you close to the ideal character and word count length of 50-65 characters, or six-to-seven words. How it works: It is effortless to take your email campaigns to new levels with PickaPic’s easy-to-use interface by creating engaging daily or weekly promotions for your eCommerce business. Use this app’s free time-based dynamic image generator, and embed those images within your newsletter or even with a landing page. What makes PickaPic an essential asset in executing email marketing automation is that you can personalize your marketing communications by selecting what images you want to display on specific days of the week, to help you connect with specific customers on your mailing list. It is one of the best email marketing tools for executing a flawless email marketing campaign and is perfect for us imperfect humans — it gives you the ability to edit an image even after the campaign has left your sent folder, so you can correct any errors in real-time. An added bonus: it works effortlessly with all the major email marketing platforms such as MailChimp, ContactPigeon, Campaign Monitor, Mail Jet, Get Response, and Send in Blue. How it works: Canva’s drag and drop format makes it a seamless process to create awesome graphics, whether for web or print media design, with over a million photographs, graphics, and fonts from which to choose. Non-designers, as well as professional designers, can create beautiful images in minutes with this app. It is also a great free marketing tool for you to use on Shopify, ranking in first place on their list of 9 Resources Online Store Owners Can Use to Create Beautiful Marketing Content. How it works: Spell check is one thing, but Grammarly goes to a whole other level. All you need to do is add this free app and start typing. It will correct spelling and grammar errors, and suggest improvements. A bonus: Grammarly is a free email marketing tool for WordPress and is used by millions of people, from students to business owners, to ensure publishing mistake-free and effective copy every time. 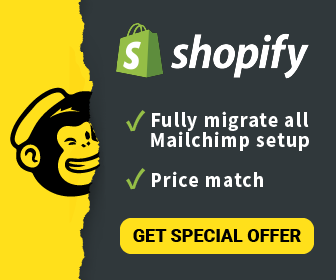 Grammarly is one of the best free email marketing tools to use when you need support in creating high-quality and clear content, according to Shopify’s list of the 10 Apps to Boost Your Content Marketing Efforts. How it works: This free email marketing tool measures the health of your email program, somewhat like how you measure your credit score. All you need to do to use Senderscore.org is enter your IP address and check out your numerical score from 1-100. This valuable free email campaign tool will let you know if your IP address has a low score, which in turn means your reputation at that IP is low so you might not be reaching all of your audience with your newsletter marketing campaign. The score reflects IP address’ spam complaints, mailing to unknown users, industry blacklists, and more. According to your score, the app makes suggestions on actions you can take to achieve a higher deliverability rate to your audience. …Your competitors will. In 2018, you have absolutely no excuse to pass up the chance to experiment with the latest free email marketing services and tools that will ultimately help grow your eCommerce business. You won’t get a second chance to make up the time and ground you lose in promoting your brand by not staying current with your competitors who are using these free tools. Try some out for yourself and you will be surprised at the positive impact they can have on your brand, helping you get in touch with your target audience on a weekly basis (hopefully!). If you are already using or know of any other awesome free email marketing tools, feel free to share them with us below in the comments!